To Tom Ford, there is no more dramatic accessory than a perfect lip. It is the focus of the face and it has the power to define a woman's whole look. 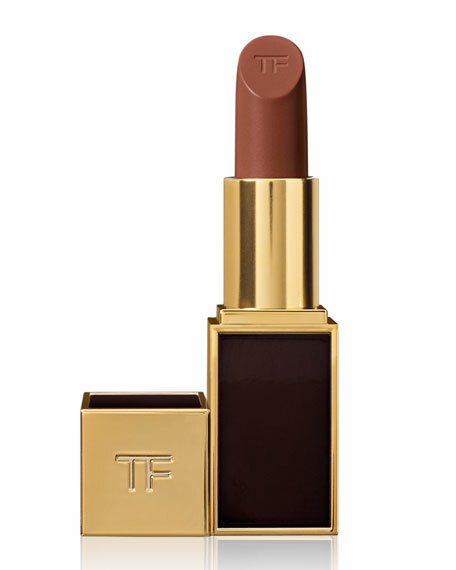 Each Lip Color is Tom Ford's modern ideal of an essential makeup shade. Rare and exotic ingredients including soja seed extract, Brazilian murumuru butter and chamomile flower oil create an ultra-creamy texture with an incredibly smooth application. Specially treated color pigments are blended to deliver pure color with just the right balance of luminosity.